Nowruz celeration, hosted by Aykut Events. SF, CA. 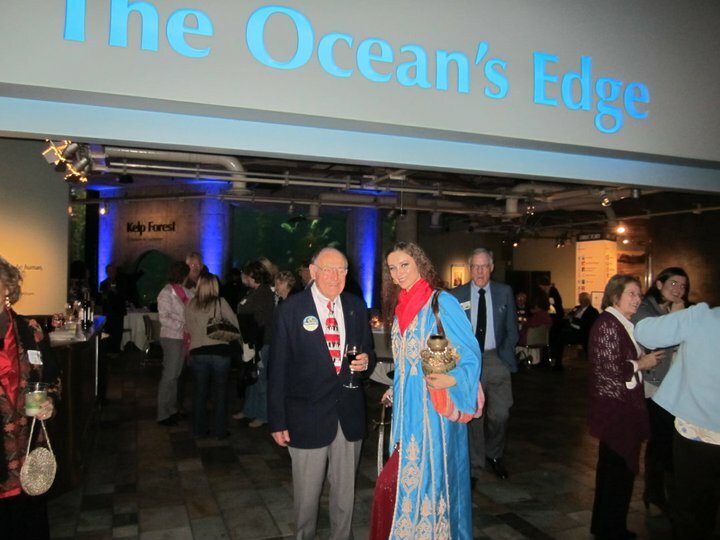 After performing for an 80th birthday celebration at the Monterey Bay Aquarium. 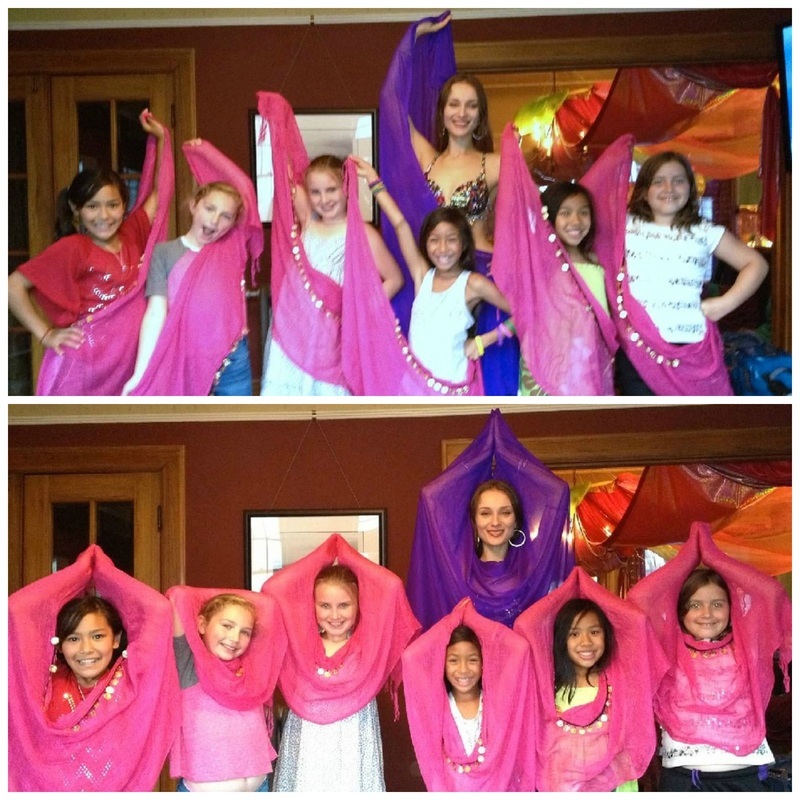 Girl's birthday party - performance and dance lesson.
" Masha is by far one of the most natural and graceful dancers I've ever had the pleasure of seeing and dancing with. She has that elegance that cannot be taught. The dance truly comes from within her making her style personal and, more than anything, SO beautiful! " " I wanted to make sure someone wrote to you to tell you how much we all enjoyed your performance last night. Everyone was talking about it this morning at Church. Thank you so much for honoring us with your extraordinary talent and beauty. And even though I was resistant at first, it was great fun to get up there and dance with you! :) "
" Thank you so very much for one of a kind performance that you granted my family & friends, on our New Year's Party. Your dance was extra ordinary, & by far above and much much better than any I have ever seen. Your Character & personality was also truly an addition to our party, and the ones who had the opportunity to chat with you for a few minutes, all spoke of you very highly & stated that you made our party one that will always be remembered. Your costumes were as beautiful and extra ordinary as seen in the movies, rather than shows & performances, & each and every one of us truly loved to watch you, and enjoyed your dance so much. We will definately call you again for our next party. " " Masha is incredible! She is a very sweet, fun person with a fantastic ability and passion for dance. I have hired her for some family events and definitely don't regret it. She is very professional and never disappoints our guests when she performs at our parties. All of her costumes are gorgeous and she told me her mother makes them!! How cool is that?? If you are in need of beautiful quality and family friendly entertainment I highly recommend Masha! She will travel to you and put on a unforgettable performance. It is nice to see there are still hardworking performers out there pursuing their dreams. " " Your beautiful dancing has left a lasting impression on me and I thank you for perfecting the art of belly dancing and amazing us with your beautiful performance. While I had seen belly dancing before I had never seen it performed so skillfully or lyrically. " " Masha is an excellent belly dancer. She knows the art and performs it impressively. We had her dance at my husband's 50th birthday party. Right from the start, Masha was very professional and timely with all of her email correspondence. She totally engaged the audience and made each and everyone of them dance with her. The men were totally blown away by her looks and the women couldn't believe how supple and flexible she is. I recommend Masha for any private event entertainment! " " Thank you so very much for a beautiful performance! We are so happy that you were referred to us. 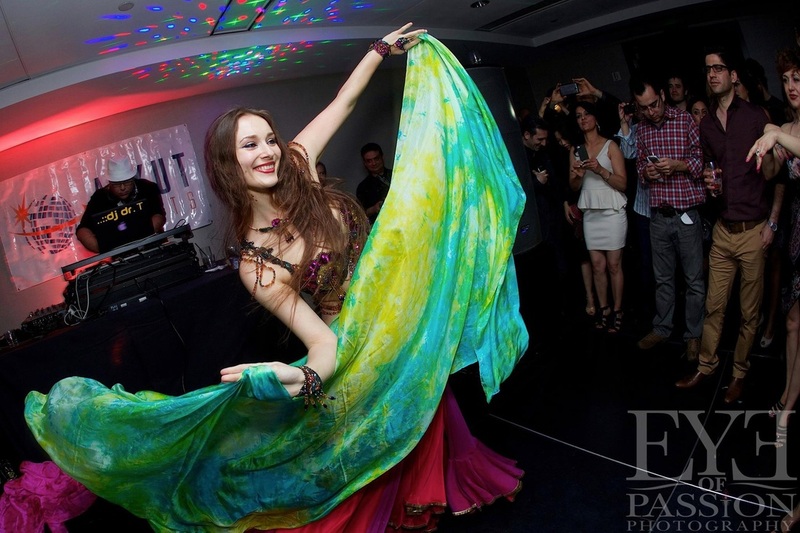 Many of our guests had never seen a live belly dancer, so we have been receiving great comments all weekend. You made my daughter's wedding reception very memorable and we will keep you in mind for our next event! " " It was an amazing experience; the entire crowd really loved it and had lot of fun! I really liked the way you involved the crowd in dancing, even the shy guys showed up on the dance floor. " " Thank you again. You were absolutely wonderful and really great with the girls. "